Words into lines into thought into sound into space. 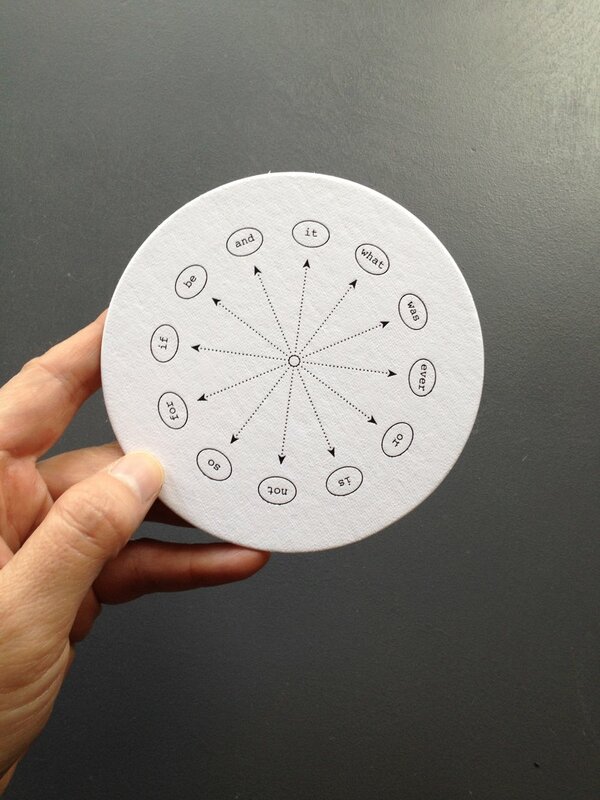 An existential word game printed on coasters left at bars and parties. Play connects players through improvisation and the material of language, limited to 12 words on a diagram. Gertrude Stein, John Cage and Chuang-Tzu walk into a bar.